Canton Day Care Center, Inc.
Canton Day Care Center is a nonprofit, community-based child care program that provides a safe environment that delivers all of the love, encouragement and nurturing children deserve. Our Center is licensed through the New York State Office of Child and Family Services, and provides care for children ranging from 6 weeks to 12 years of age. Canton Day Care Center hires certified employees that allow the children to grow, discover, and learn through developmentally appropriate experiences. Not only will your child experience the loving and encouraging environment we offer, but will grow socially, cognitively, and developmentally. Parents have trusted Canton Day Care Centers for decades because we are an incredibly dependable childcare option. The Center is open 7:30-6:00pm Monday through Friday, year round, on most holidays, and through inclement weather and snow days. Security is a highly valued component of our services, and our certifications give parents peace of mind when dropping off their children. 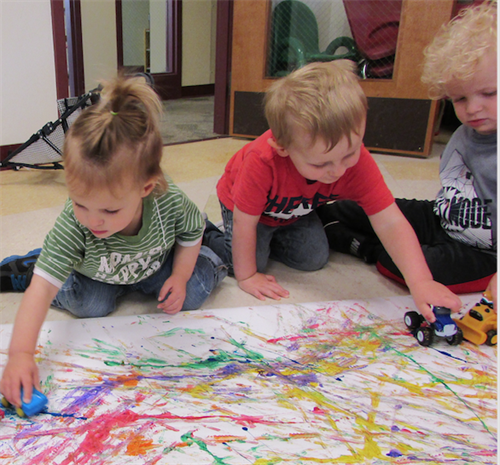 Canton Day Care Center is flexible, and works hard to accommodate the child care needs of our parents. We offer full-time and part-time care, as well as an after-school and summer program for school-aged children. We operate independently and are open to the public regardless of employer or income level, making our Center accessible to all. Co-located with United Helpers at their Maplewood Campus at 205 State St. Road in Canton. Turn into the second driveway on the campus for the day care center entrance.